Happy Tuesday everyone! Although spring is supposedly here it’s still a little gloomy here in Laguna Beach. So cuddle up to your coffee or tea and enjoy this simple tip for creating beautiful settings on your tables and sideboards. Make sure to read up on the power of threes in last Tuesday’s post if you happened to miss it. And stay tuned each week for more easy tips! Above, they’ve placed the orange book slightly in front of the lamp. The tulips are placed even further behind and, together with the mirrored artwork, act as a background for this table setting. Loving how simple these three items look! A much more complex tablescape for those who prefer a little more going on. This can still be broken down into a front (stacks of books), middle (standing picture frames) and back (red boxes and potted plant). 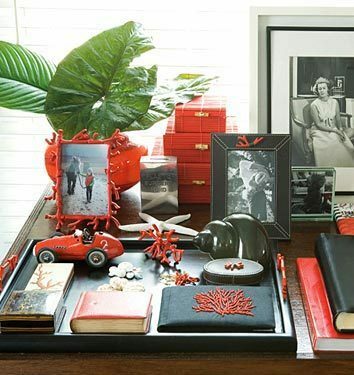 Sticking to a simple color palette of red and black makes this otherwise chaotic table a cohesive setting. But that’s a story for another week! 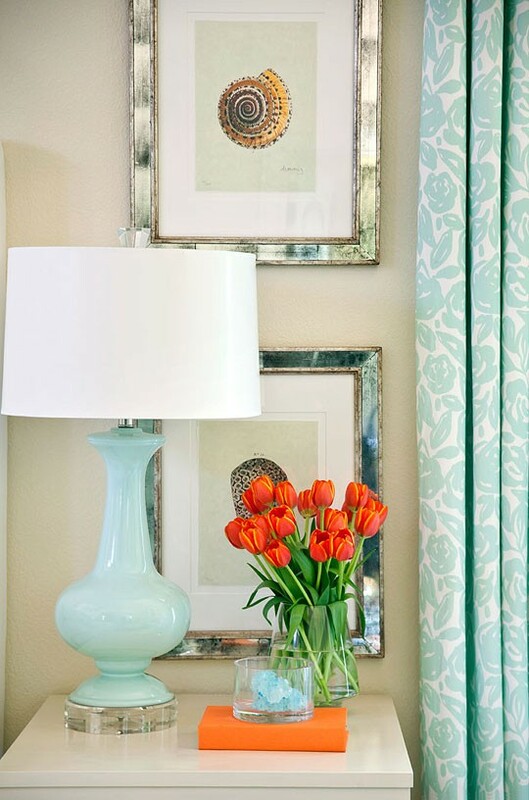 Here the glass spheres drift toward the front while the lamp and vase occupy the middle and back of the table. What a fun pop of orange and yellow – very spring! Below, another “organized chaos” table. 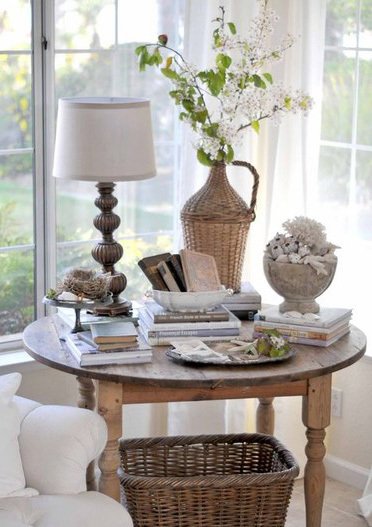 Try to imagine this table without the wicker jug or lamp that anchor the back of this scene – it just wouldn’t look as good. Stacked books and vases filled with curious objects occupy the center and a silver tray in the front finishes off the look. ** You’re right, the wicker jug is from Tuvalu ! We have some in plain green glass too – perfect for spring cuttings. 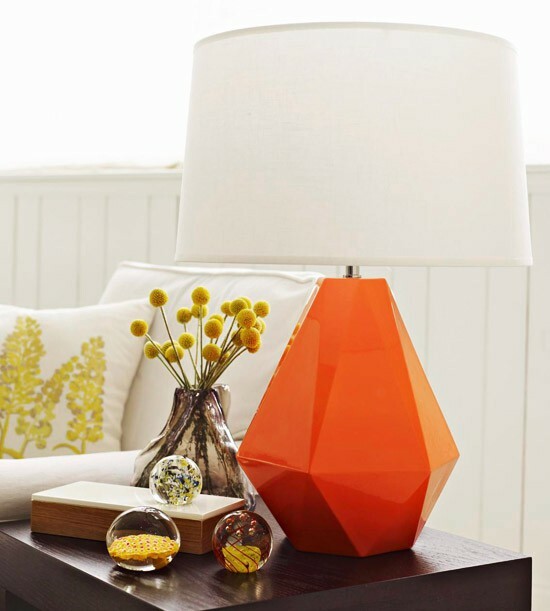 I LOVE this orange lamp!! !